If you travel by air, extra baggage accompanies you without your knowledge. Yes, sometimes it costs you, according to Lowell "Skip" Bailey, a flight training coordinator at the aviation institute offered at the University of Nebraska, Omaha. Projections show nearly 637,000 new pilots are needed worldwide by 2036, according to a 2017 Boeing report. 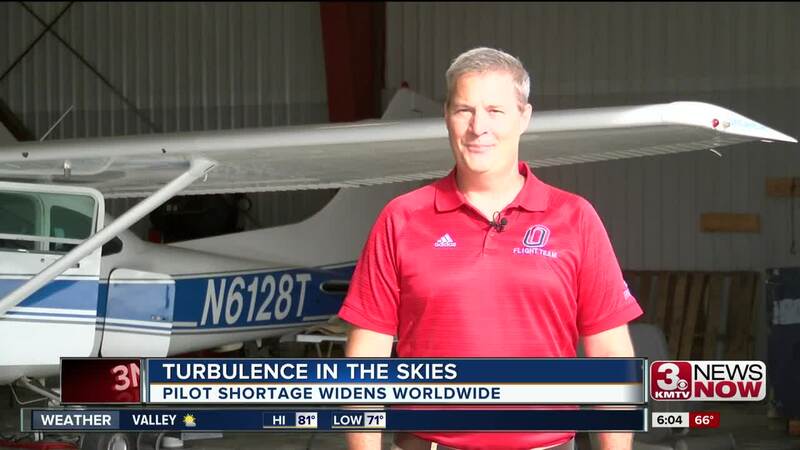 Tom Chandler, a regional manager at Aircraft Owner and Pilot Association, says a pilot shortage is nothing new but the alarming growth rate is concerning. 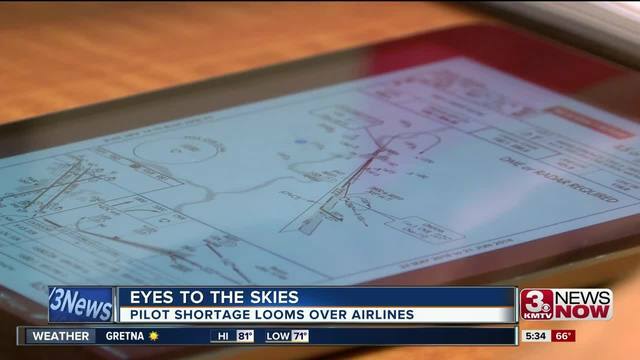 The pilot shortage is blamed on what some industry experts call the "perfect storm." Chandler highlights how the mandatory age retirement at 65 is widening the gap as airlines struggle to fill new pilots in their slots. The Federal Aviation Administration also mandated stricter requirements by adding training hours for co-pilots. Historically, regional airlines offered salaries as low as in the $20,000's. Not exactly a fair trade considering how students will need to tack on an additional $40,000 to $50,000 on top of tuition, according to Bailey. With education costs so high and low salaries, new pilots might find themselves in markets with the same demand but with better incentives like in the Asia-Pacific region. The U.S. airline industry is attempting to combat the overseas trend, according to Bailey and Chandler. UNO student Christopher Pineda, 21, recognizes the sudden change as he completes his training. "The industry has never been better," Pineda said. "It's the best time in history to get into aviation." The pay has now doubled, and sometimes tripled, than what was offered 30 years ago, Chandler told 3 News Now. To help curb the education costs, some regionals are offering signing-bonuses of up to $20,000, according to Bailey. Every few months, he said, the incentives are changing as airlines compete to recruit recent graduates. But, all of those incentives have to come from somewhere. Bailey said, "Airlines will charge consumers for tickets in order to cover their costs."